I hate the olympics because of the corruption in the surrounding fol-de-rol, the pointless displays of silly excess, and the nationalism. I cringe when I see “USA WINS (whatever)” No, actually, it was Simone Biles that won. It was Michael Phelps that won. They would have won if they had been doing floor routines for Finland, or swimming for Sweden. clothes. 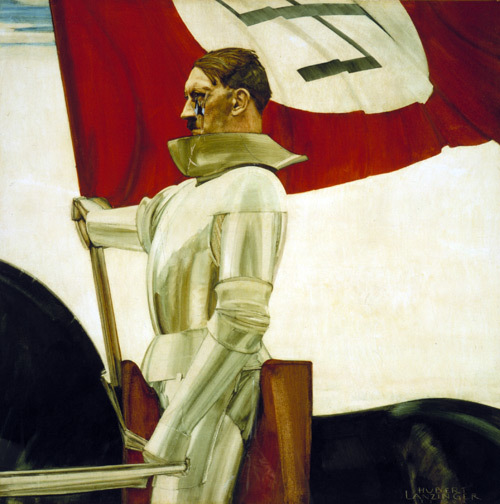 For one thing, the idea of “national clothes” carries the acrid reek of fascism to my nose. For another, it overrides what ought to be interesting about the event!! Why not have the fencers come out wearing gloriously fencing-inspired costumes? But, you know what? Most of the athletes, you know, athlete, in costume already. Meanwhile, Ralph Lauren, is the French Beret now a “Freedom Beret”? And look at the horrible fit of that jacket! It’s a national embarrassment if that‘s a national blazer. And … rounded collar with peaked lapels? Raaaaaaaalph, what were you smoking? themselves, and have a red carpet show just like at the other great cheese-events like the Oscars? Give them a chance to reflect on themselves and what they feel about themselves. If they’ve got national pride they want to show, let them. And if they want to wear a shirt that says “Black Lives Matter” let them. The nationalists have turned the Olympics into a great big festival of power and control – a demonstration of how it’s all about them and their petty agendas – not about the athletes. The athletes, by the way, are the only reason anyone should be watching that crap. 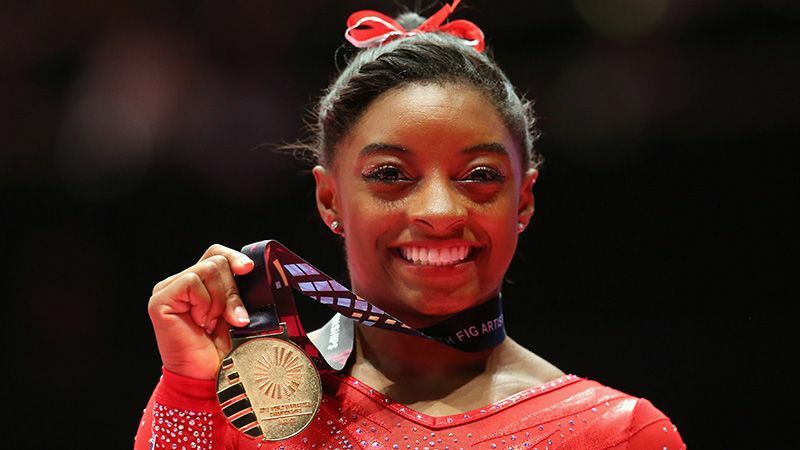 Simone Biles does not need to be wearing an american flag. Simone Biles is the nation of Simone Biles and her costume is her gymnastics. Seriously, how can even the incredible (picture me rolling my eyes so hard I sprain my neck) Ralph Lauren imagine he can gild that lily? The beautiful part about that picture is her smile – not her outfit – it is not possible to improve on that smile with an outfit made from cloth. Can you imagine what it feels like to know that you’re probably one of the best ever at that thing you do? And undoubtedly the best in the world right now? 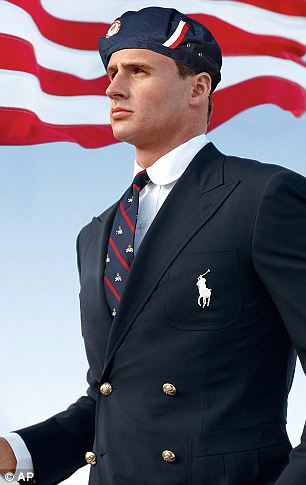 Poor Ralph Lauren will never get to know. I am Olympics, king of kings, look upon my works, ye mortals, and despair! Need I mention that the citizens of Greece probably wish they had that $10billion right about now? Make the olympics about the athletes and hold the events around the world, at the place(s) that make the most sense. Hold the skiing at the slope that makes the most sense, when it makes the most sense. Forget the pageantry and make it about the athletes. Get the nationalism out of the sports, athletes should be referred to by name and not nation – this would do a lot to reduce the need nationalists feel to win at all costs, by cheating. Do not allow news-casters that are talking heads: have a fencer comment on the fencing and a gymnast on the gymnastics, etc. Let the media talking heads talk about being media talking heads – somewhere else. At the end of the year, have a great big oscars-style ceremony and let the athletes wear whatever they damn well want on the red carpet. At the oscars-style ceremony, you do not have Hollywood vapids or media talking heads awarding the awards: you have past winners. People who’ve been up that mountain and know how hard it was to get there. Whatever you do, don’t have an Emcee – especially not Ricky Gervais – there to distract from the one time that we pause from our usual activities and take a deep breath and say “!*$&!^!^!! !” as we watch the best of human athletes do what they do best. TL;DR: I hate the game, not the players. 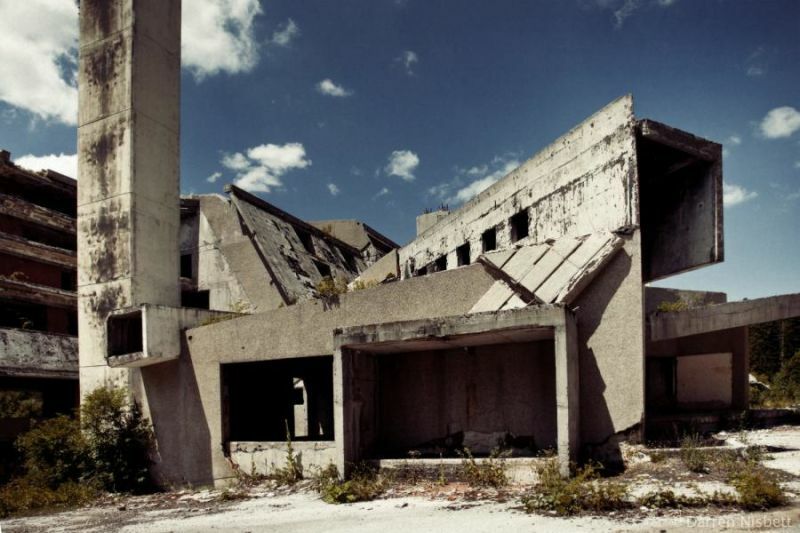 More great pictures of old Olympic sites. PS – And know you know why I hate “The Hunger Games”* – it’s playing for irony, but there actually isn’t any irony there to play with. Also arrange for athletes from all over the world equal access to funding for doing their stuff. How much talent are we missing because the would-be athlete is barely surviving somewhere? Also arrange for athletes from all over the world equal access to funding for doing their stuff. Maybe instead of spending billions on a new stadium, they could have athletic scholarship programs? With a Ralph Lauren logo on them. At least the pools are going green. Marcus, I agree. Especially regarding people who brag about how great we are, just because we’re a big place. It’s like map graphics that claim to be showing where some phenomenon is happening, but it always turns out to a first approximation to relate to total population, so the chart turns out to be the same as any chart of US population density. And neither the graphic artist nor the editor can figure out that they’ve seen it before, and that it adds nothing to the story. You’d think they could easily just code each state with a shade proportional to a value normalized by ratio to total population. Do they really not understand their own graphs? Or do they just avoid thinking about anything? But from the swimmers’ perspective I don’t think there’s any way that’s going to turn out to be a good thing. I hadn’t really thought about the effect of demographics on the olympics. But, yeah, obviously, 1/4 of the championship material ought to be Chinese, right? I totally agree with this post. I have long since stopped watching the Olympics for all these reasons. I may watch a clip or two later of some notable event but that’s it. You missed a trick, Marcus – you forgot about the money. Not the IOC money, which is probably as bullying and exploitative as FIFA, but the money of the individual. Which nations have the money to put into government funded sports training institutions? The rich ones. People mock African nations for only really excelling at running events, but that’s one of the few sports that can be prepared for without training facilities; you won’t see them doing well at a swimming event if they have no aquatic center. Which means medal tallies are really just a measure of national wealth, or at least, national willing-to-spend-big-on-athletes-for-reasons-of-nationalism. I haven’t watched in 20+ years because I doubt that anyone is clean, or that the olympics have been drug-free since the 1950s. Victor Conte (who ran BALCO) said “60% of competitors used drugs in 2012”, but I think he was lowballing it. WADA and olympic drug testing are a fraud. It’s all for show, to give the pretense of wanting “clean events”. That was also shown in the Dubin Inquiry of 1990 where one witness claimed 80% of olympic track and field competitors were dirty. The solution to cheating is to criminalize it with real teeth. A first positive test means a lifetime ban, the country’s entire team (for that event) forfeits all medals and records from that games, and is barred from the next games. The cheat also forfeits financial gains plus interest (i.e. sponsorship money) and possibly gets jail or prison time. Let’s see anyone cheat with restrictions that severe. There are enough existing facilities that future games can be held on a rotational basis. Think back to the 1994 World Cup in the US, the first (and only) time a country didn’t need new stadiums to win the hosting bid. Use what already exists. Summer: Spain, Australia, South Korea, etc. Winter: France, Switzerland, Italy, Japan, Canada, etc. 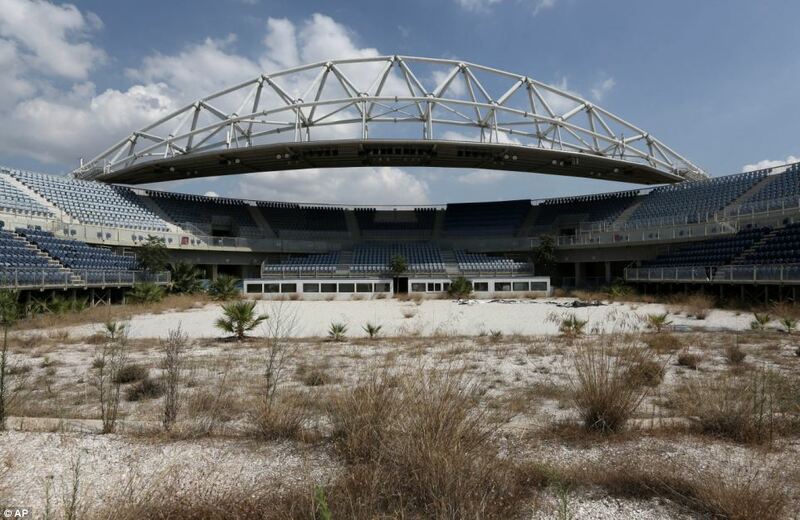 Even sites that held the Commonwealth Games (average of 4,000+ competitors) wouldn’t require much of an upgrade to host a summer olympics. Or just scale back the summer games with fewer events. (Why is there equestrian, boat racing and shooting?) The only reason to demand new construction every time is bribery and kickbacks. But that would take all the fun out of the games! Sports is – and has been since ancient times – a proxy for war. There are no deaths on the arena these days, but the spectators still react as if there were. The only reason to demand new construction every time is bribery and kickbacks. Speaking of, if Trump doesn’t win the election, maybe he’ll bid to build the next US olympic park. It’d be Yuge! Sports is – and has been since ancient times – a proxy for war. Perhaps in the minds of authoritarians and nationalists. I used to think that, too, but then I realized that it’s an obssession of the athletes – some of the athletes I know would do it whether there was any “side” behind them, or not. Larger team sports, especially when promoted by nationalists, yes – I agree. Bicycling around a track is not a proxy for war. Rugby, maybe is. Which nations have the money to put into government funded sports training institutions? The rich ones. You’re right. I think my mind shied away from how horribly unfair that is. Remember when there were people laughing at the Jamaican bobsled team? Uggggh. All I could think was how much I hate the idea that people belong to these “country” things because of the lines on the map where they are born. Rugby started out as frustration at having to kick a ball. However, if you’ve ever been tackled by an All Black I suspect it feels like an episode of Vikings. I think the last straw for me was finding out that the bloke who lit the cauldron with the flaming arrow in Barcelona didn’t actually light the cauldron with a flaming arrow.